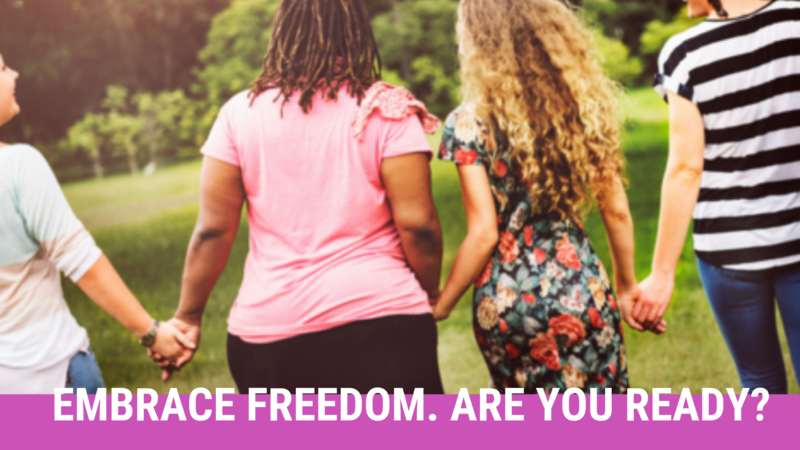 A Mother’s Influence – Walking in Freedom! The life we live can have a huge impact on the people around us. Our behavior and our actions influence those people greatly, especially our children. Whether we admit it or not, our behaviors (good or bad) can have a lasting effect on our daughters and sons. Our children observe the life we live out in the open as well as in the privacy of our own home. They see and know the real us. What we do and every decision that we make affects our children’s lives. Through our actions and behavior, we teach our children morals and values. We teach them how to respond appropriately to various situations. We teach them how a Godly woman should live. We’re their role models! And as role models, we must be mindful of every decision that we make. Let’s take a look at today’s passage. “For Herod himself had given orders to have John arrested, and he had him bound and put in prison.He did this because of Herodias, his brother Philip’s wife, whom he had married. For John had been saying to Herod, ‘It is not lawful for you to have your brother’s wife.’ So Herodias nursed a grudge against John and wanted to kill him. But she was not able to,because Herod feared John and protected him, knowing him to be a righteous and holy man. When Herod heard John, he was greatly puzzled; yet he liked to listen to him. In today’s passage, the actions and behavior of this mother influenced the actions of her daughter. Herodias’ lifestyle taught her daughter several mistakes. How to disregard Godly Counsel. Herodias taught her daughter how to disregard Godly counsel and how to respond incorrectly when confronted for doing the wrong thing. (Mk. 6:18-19). Teach our children to fear the Lord and obey His commands (Deut. 6:1-3; Ps. 78:5). God’s word reminds us that the fear of the Lord is the beginning of wisdom (Prov. 9:10). We must teach our daughters and sons how to respect and heed Godly advice from men and women of God (Prov. 12:26, NLT). Most importantly, because of our sinful nature, we must show our children how they should admit their sin and humbly ask for forgiveness (Ps. 32:5, NLT). Then, be led by the Spirit (Rom. 8:9-14). Since the life we live can have a major impact on our children, let us be mindful of our actions, behavior, and lifestyle. What we do and how we live can influence our children and the people around us. THROUGHOUT YOUR DAY, ASK YOURSELF THESE QUESTIONS. Are the decisions I’m making teaching my child to cling to the Word of God or stray away from God’s principles? Am I causing my child to make ungodly choices? Am I living a life that will affect my child’s life in a negative way? Is my lifestyle influencing my child to go against God? As Mothers, let’s strive to be Godly examples in our homes, on our jobs, in our communities, and in our church! LET’S WALK IN FREEDOM TOGETHER & IMPACT THE WORLD! Rhovonda L. Brown is speaker and author of two bestsellers, Walking in Freedom! : A Thirty-Day Devotional Journey for Women and #1 bestseller At Least Say, “Thank You!”: An 8-Day Devotional Plan for a Grateful Heart. Copyright ©2010-2018. Rhovonda L. Brown. All Rights Reserved.